Jennifer Ball’s vegan congee with brunch salsa. 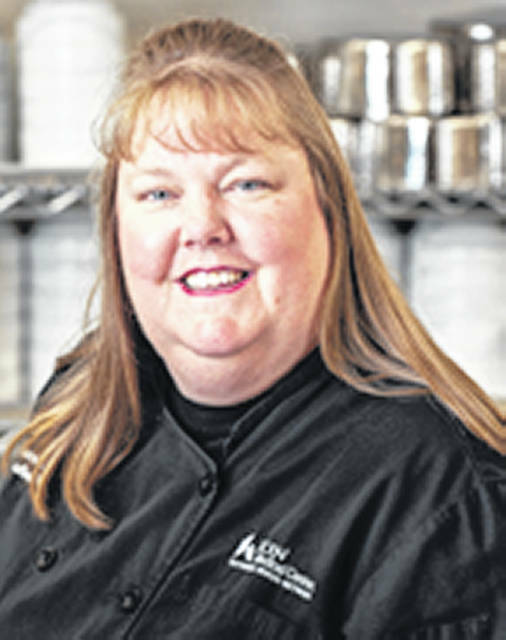 BEAVERCREEK — Soin Medical Center & Greene Memorial Hospital Executive Chef Jennifer Ball wanted to create something unique and that led to entering an annual hospital recipe competition. Ball has been in charge of the cuisine at the two hospitals for about six years. She enjoys creating different types of healthy recipes. The chef was helping other staff create recipes to compete with and that inspired her to try again at the national recipe event, the Culinary Cup, sponsored by Premier, Inc. The annual contest requires chefs to send a recipe meeting nutritional requirements set by Premier Inc.’s contest rules which require a per-serving cost and being a healthy alternative. 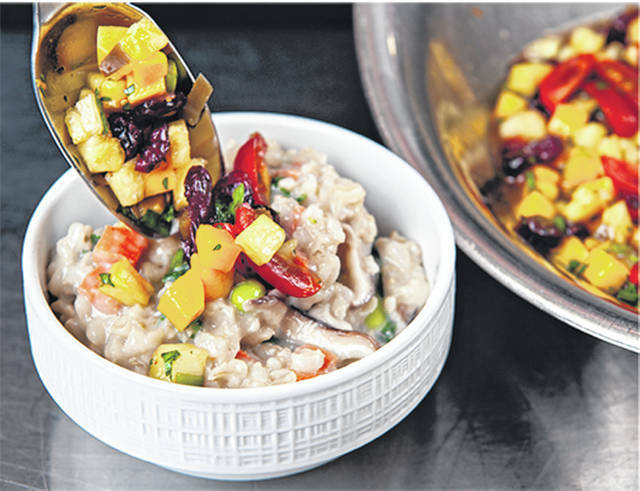 She adapted an Asian dish that was inspired by a hospital doctor who only eats a plant-based diet – vegan congee with brunch salsa. This dish was plant based with no oils, salt or sugar. Her recipe placed fourth and was picked to compete at the annual competition in June. Event hotel kitchen staff would create the chosen recipes with guidance of the chefs, then serve the 300 plus healthcare attendees the entries, and allow them to vote their favorites. After the dinner the winners are calculated. “It feels really good to participate and have my recipe chosen to go to the national competition,” said Ball. She placed first in 2015 with a S’mores Shooter – a health twist on a dessert. Ball has also won awards at the Taste of Greene County annually. Premier, Inc. is a healthcare performance improvement alliance of approximately 3,400 US hospitals and 110,000 other providers. Their mission is to improve the health of communities. “It’s fun to participate in these contests and create new things,” she added. https://www.beavercreeknewscurrent.com/wp-content/uploads/sites/49/2018/07/web1_Recipe.jpgJennifer Ball’s vegan congee with brunch salsa.